Braces and Invisalign are both excellent ways to straighten your teeth, but with each comes a few additional routines that you need to incorporate into your daily routine. Braces aren’t removable, so cleaning them is entirely different than cleaning Invisalign aligners. Be cautious though, both treatment options require regular cleaning to maintain your oral health. Because Invisalign aligners are removable, it is generally easier to keep them clean, as long as you follow a few daily steps. The easiest way to help keep your Invisalign aligners clean is simple – take them out when you eat or drink anything other than water. This alone is going to go a very long way in ensuring you don’t have food or sugary drinks stuck to your teeth all the time. This would likely lead to many cavities which can wreak havoc on your teeth and treatment. Removing your aligners also keeps them from getting stained if you drink a dark-colored beverage, like coffee or a cola. You should always brush and floss your teeth after eating before putting your aligners back in if possible, or rinse your teeth at the very least. After removing your aligners, you should always thoroughly rinse them. This is a simple way to keep them cleaner than they would be without rinsing. Avoid using water that is too hot and might affect the aligners – stick to lukewarm water instead. Should saliva and plaque from your teeth be left to sit on your aligners, it is likely that bacteria will grow since this would create an excellent breeding ground for it. Cleaning both your teeth and aligners regularly is absolutely crucial to keeping them in tip-top shape! You might think that using toothpaste to clean your aligners is your best option, but you actually shouldn’t toothpaste for regular cleaning. If used too frequently, toothpaste can result in discoloration or damage them. Your best option for cleaning your Invisalign aligners is with Dawn dish soap and a soft toothbrush. You can also soak them in a cup of water with baking soda, or as already mentioned, toothpaste is an option, just be cautious. You should never use bleach or alcohol-based liquids, such as mouthwash, to clean your aligners. 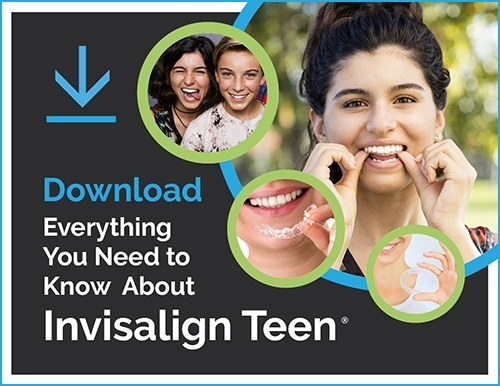 These will damage your aligners, and can be damaging to your health as well. Also, definitely do not try to boil your aligners to clean them. This will warp and destroy the plastic, completely inhibiting their ability to do their job (straighten your teeth). Lastly, you should not put your aligners down on dirty surfaces while eating. They should always be returned to their case when not in use to keep them clean and to avoid accidentally losing them or throwing them away. Your treatment will go much more smoothly if you ensure proper care of your aligners. Keeping them clean will keep your teeth healthy. Also, it will make them much more pleasant to wear since no one wants to put smelly aligners back into their mouth. You’re going through orthodontic treatment to achieve the smile of your dreams, and keeping your teeth healthy will go a long way in making your end result that much better. Remember, this extra work is going to all be worth it once you get to see your new smile!